Petit Jury service is for a three week period of time but you may not be required to appear for the entire three weeks. You will be required to check a voice mailbox the day before your service begins for instructions. The Court is usually in session from 9:00 a.m. to 4:30 p.m. with one hour allotted for lunch. The Court will give you further instructions on your first required appearance regarding your service. Grand Jury service requires two days of service the first week of the month and two days of the third week of the month for two months. 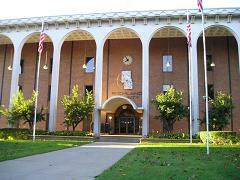 The Court is usually in session from 9:00 a.m. to 4:00 p.m. with one hour allotted for lunch. The Court will give you further instructions on your first required appearance regarding your service. Handicap parking is available with a valid BMV issued disability placard. Contact the Bailiff at 419-774-5571 or juryquestions@richlandcourtsoh.us for more information.